Keeping in mind that I set a very small budget for a guest room makeover, I needed to find ways to add some wall art cheaply. 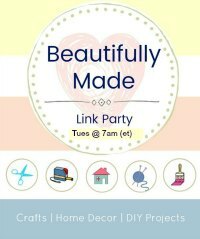 This project was as inexpensive as it was easy! Once again, paint makes all the difference. 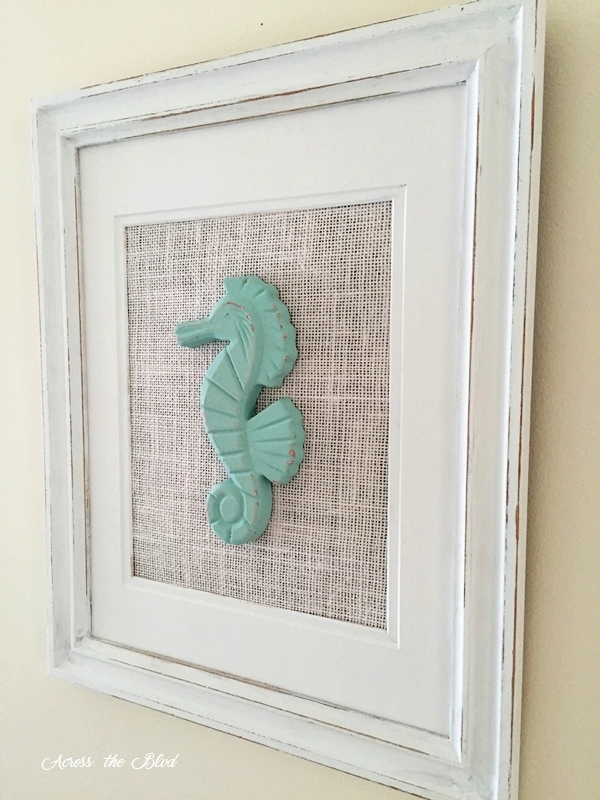 I took a old thrift store frame and turned it into a pretty piece of coastal wall art. 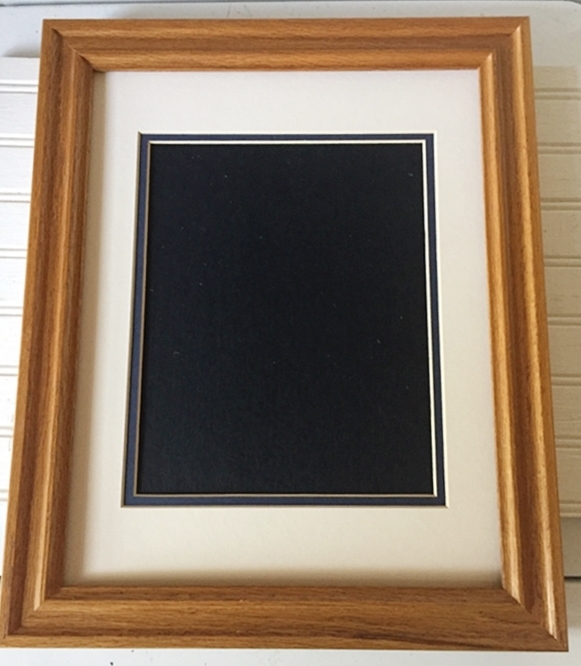 I don’t know about everyone, but I’m pretty much convinced to never buy a picture frame any place other than a thrift store. I’ve found some great ones there that only needed a little cleaning up and some paint to make them just right for my decor. The prices are always so low. This one was $1.00. 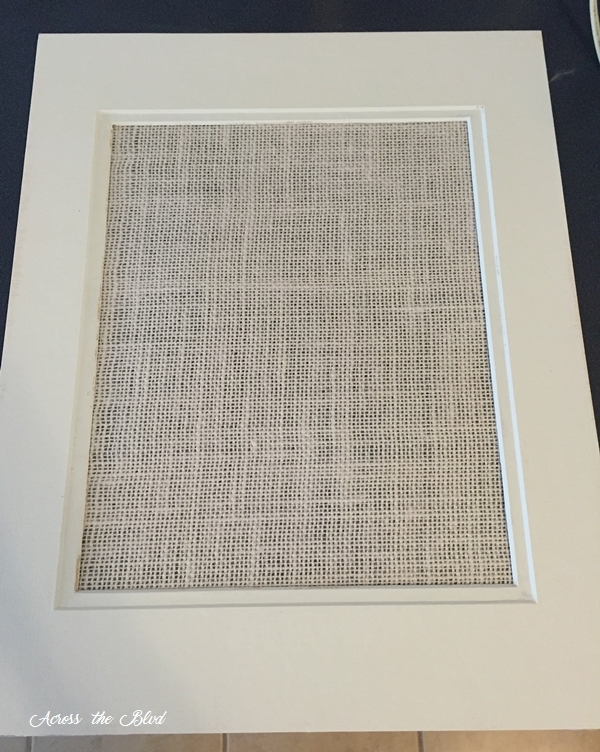 I removed the glass and the matting and cleaned the frame using TSP. The matting had a blue border that wouldn’t match what I wanted, so I set that aside to use another time. I have a stack of mats on hand, so I switched them out. I put the glass in my craft stash to use later. After cleaning the frame, I gave it two coats of Glidden Grab-N-Go in Antique White. 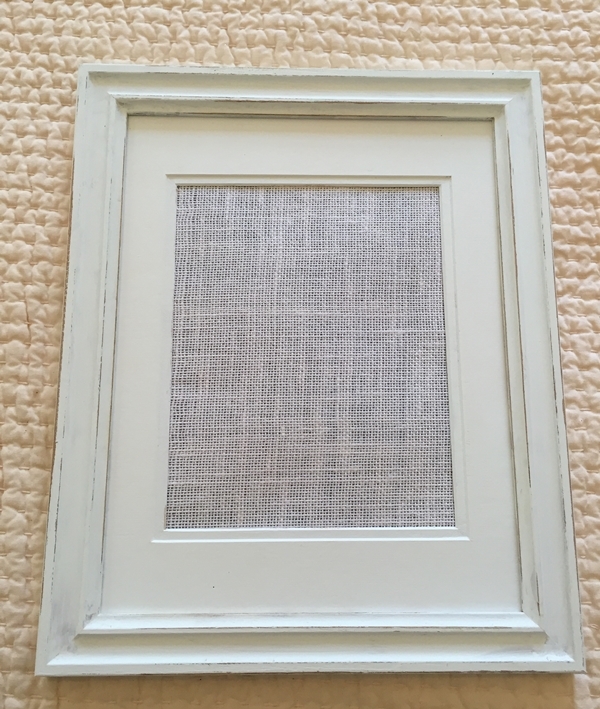 I used a sheet of burlap canvas for the backing. I hot glued it to the new matting. 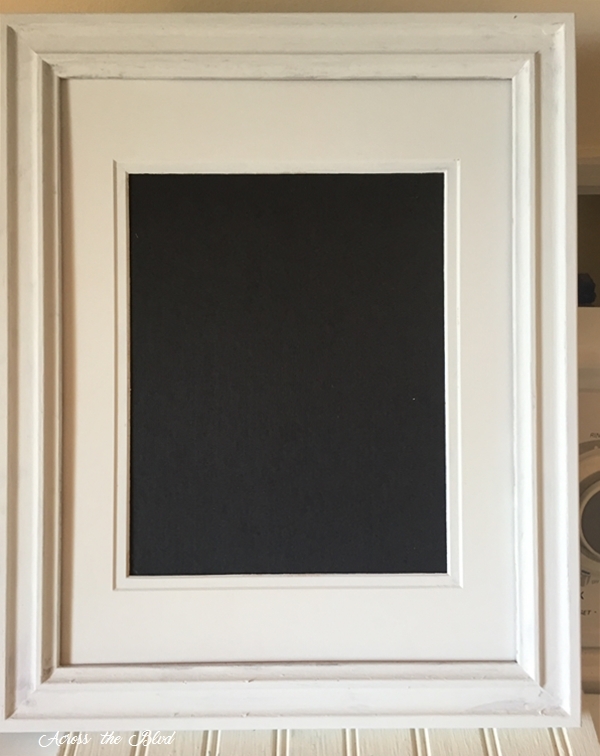 I lightly distressed the frame with my palm sander. Now, to add a coastal piece to it. A while ago I purchased a seahorse hook. I didn’t have plans for it and I couldn’t find a good spot to put a hook. 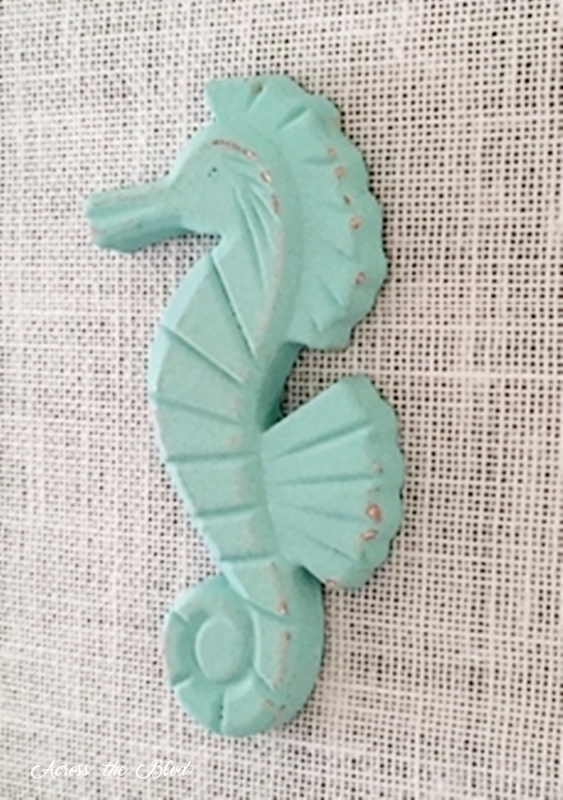 I unscrewed the hook portion and painted the seahorse the same color as I used for my mirror makeover and drawer pulls on my chest of drawers makeover. I distressed it a little and hot glued the seahorse to the backing. 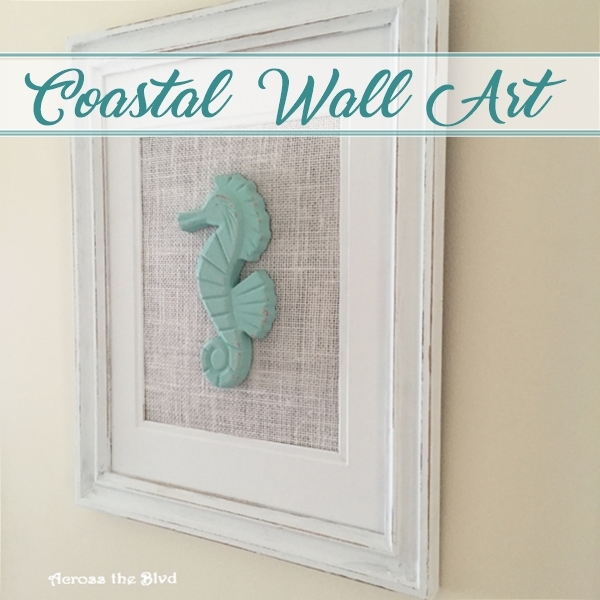 Changing a thrift store frame into Coastal Wall Art was such an easy project. I loved that I had everything on had to make it except for the frame. I’m enjoying giving this guest room its coastal makeover and keeping it budget friendly along the way. 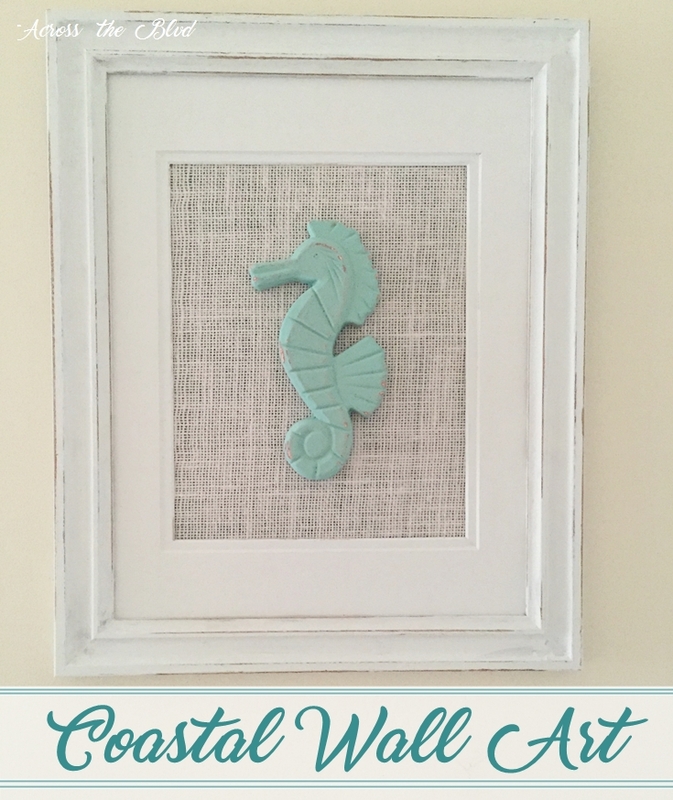 This easy diy coastal wall art is a perfect fit for the room. We party with some awesome bloggers. We’ll be sharing at lots of these great parties. This is so cute and easy too. How perfect is that! Thanks, Debra! I loved how easy and inexpensive this was. Love this! 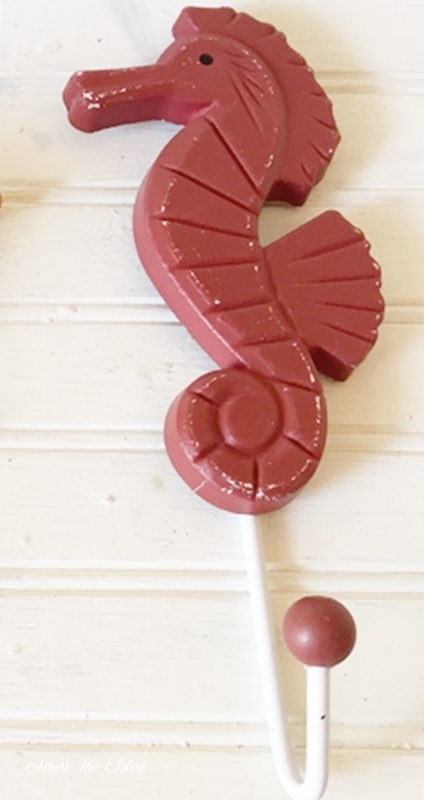 Such a great idea for the hook and the burlap backing! I agree that you can find a lot of great frames at a thrift store! Pinning to share! Thank you! Thrift store frames are so great. I did a staircase gallery wall a couple of years ago using them and I’ve used them for lots of other projects, too. Can’t beat the prices! Thanks for pinning! So cute and simple. I liked that you up cycled too! Pinned! Thank you, Mickey. I love upcycling old frames. Thanks for pinning! The burlap and paint choices are absolutely perfect. Everything about is screams coastal! Beautiful creation, Beverly. Thanks, Robin! 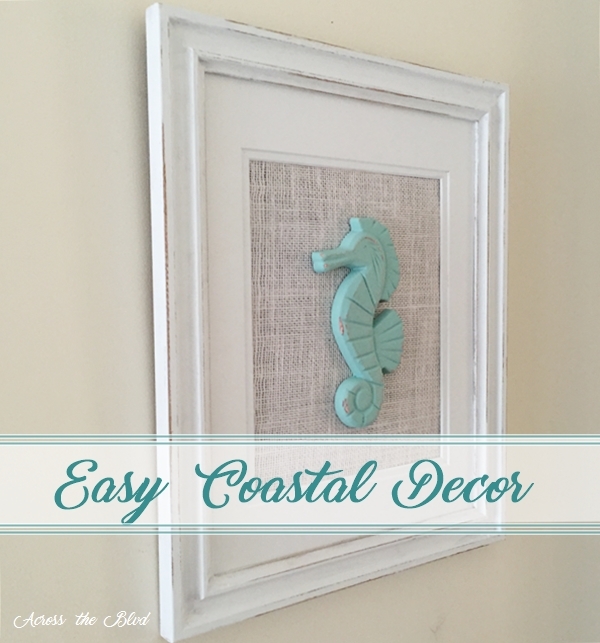 I’ve enjoyed finding ways to inexpensively add coastal decor to this room makeover. Thirft stores and yard sales are the place to find picture frames for sure! Love you Seahorse hook. It turned out great, perfect decor for you guest room. They are! I don’t think I’ll ever buy a frame any other place! Thank you! This is really pretty and very coastal! You have some awesome ideas on how to turn just about anything into a coastal look! I especially love the burlap backing and the new sea horse look! You never would have thought it once was a hook! 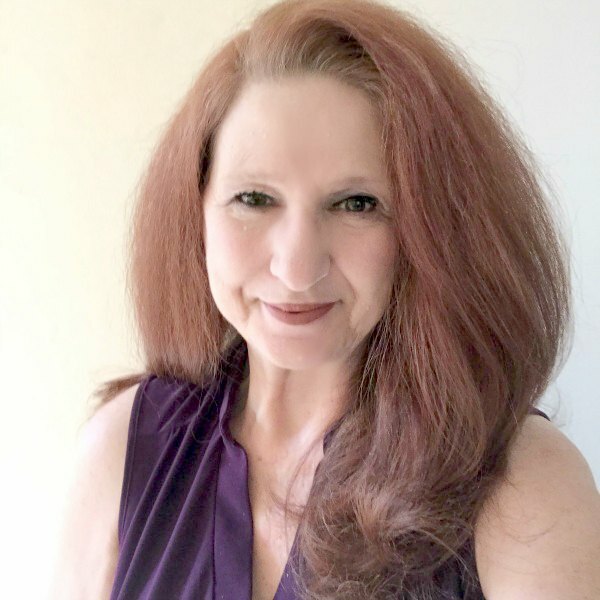 Thanks so much, Gail! I love the challenge of turning things into coastal decor, especially when I find things at thrift stores that will work. Thank you, Millie! No, you can never have enough! 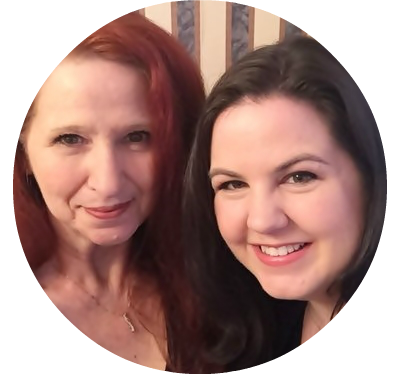 I love this, it is beautiful and easy enough I could do it without it turning into a disaster! Thank you, Allyson! It really is an easy project! The burlap backing really makes that standout. I am loving your guest room. Thanks so much, Kathleen. I’m pleased with how it all came together and inexpensively, too! Thanks Beverly for sharing this beautiful craft with us at Cooking and Crafting with J & J. Thanks, Julie and thanks for hosting a great party each week. Hope you have a lovely weekend. This is just the cutest idea. 🙂 I love it! Thanks, Jess! Thanks for the party each week! I just love your coastal series. Do you sell these pieces?